Rosacea Patients can enjoy beach life with a sun hat and sun protection. Rosacea-Ltd IV® is an all-natural, patented facial and ocular rosacea treatment that limits the effects of rosacea on skin. Our product works by reducing facial redness, vessel dilation, seborrheic dermatitis, adult acne pimples, and rosacea papules. Our current product is the ‘ fourth generation’ of Rosacea-Ltd®, representing a culmination of 20 years of work. Purchase with Confidence as Rosacea-Ltd IV® will: improve the appearance of rosacea, ocular rosacea, acne rosacea and seborrheic dermatitis. Overall, 98% of Rosacea-Ltd IV® patients confirm a noticeable improvement in facial redness, dilated facial vessels and rosacea-related papules. With Rosacea-Limited, the effects of rosacea on your life can finally be limited. We have been in business over twenty years, maintaining an A+ rating with the Better Business Bureau, complying with strict guidelines set by the U.S. Food and Drug Administration, and continuing research by licensed medical professionals. We have remained a disruptor in the Rosacea skin care market, hosting a free repository of information for the public and providing our customers – patients – with personalized letters of instruction. 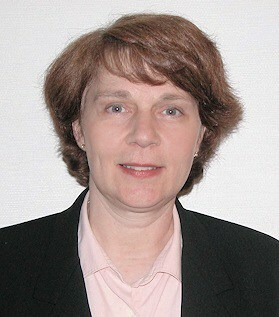 Our team of researchers is led by a Johns Hopkins University M.D. with a two-year fellowship at the University of Pennsylvania at Philadelphia, residency at Harvard University’s Beth Israel Deaconess Medical Center and two years of research at Massachusetts General Hospital. We developed Rosacea-Ltd® over 20 years ago as an all-natural treatment for rosacea. Pictured to the left is Dr. Taylor, the inventor of Rosacea-Ltd®. We have patents for Rosacea and Acne treatments in the United States and 195 other countries. Trust us and our product Rosacea-Ltd IV®. We have always had a good quality medication that is often sold by word of mouth of friends and family relatives and via various Support Groups. We have always been a member of the Better Business Bureau. Likewise, the U S Food and Drug Administration has inspected us over the years with no reported consumer recall nor damage of any type to anyone worldwide. Rosacea-Ltd IV®’s gentle ingredients produce no negative side effects. As we have proudly stated on our website for two decades, we are able to help patients without medication. We can help you accomplish your rosacea goals through healthy lifestyle choices. Our unique patient-centered approach has earned us a reputation as ‘The Rosacea Doctor of the Future’. By using the Rosacea-Ltd IV® treatment while following your Letter of Instructions prepared ‘just for you only’ as ‘everyone is different’, you will begin to see results within several days of use and will notice even more improvement within two weeks and your rosacea problems will continue to improve when you follow ‘your Letter of Instructions’. Facial & ocular symptoms do not have to continue as some medical researchers and dermatologist believe. And if anyone is not impressed, simply return the Rosacea-Ltd IV® for a 100% refund within 120 days without questions. Rosacea-Ltd IV® is for the treatment of rosacea of the facial skin and ocular rosacea or eye rosacea. Ocular involvement of rosacea includes inflammation of the eyes, redness, burning and possibly the sensation of dirt or sand in the eyes. Learn more about this very sensitive condition as well as methods of treating it. We provide a 120 day unconditional, risk free 100% refund policy. Simply return it, no questions asked. Our Dermatology Research team, with 83 years of collective research has determined rosacea is the result of an immune system malfunction which you can learn more about on our Rosacea Cause & Cure page. Use of Rosacea-Ltd IV® treatment produces NO adverse side effects – Just patients worldwide who are healthier and happier with the appearance of their skin since 1997 when Rosacea-Ltd® was first sold. Bass & Boney Pharmaceuticals, Inc. has been in the business of rosacea research since 1983. How Rosacea-Ltd IV® ‘works and why’ as well as pregnancy and breast feeding. Rosacea-Ltd® has secured Medical Patents in 195 countries. Rosacea-Ltd IV® will normally last at least 12 months. U.S. Customers Only: Reasonably priced at $98.00 or $0.27 per day which includes two Rosacea-Ltd IV® disks, instructions tailored to your specific rosacea concerns, processing and delivery to your home or office in 2-3 days in the U.S. U.S. orders are shipped priority mail. International Customers Only: pricing still reasonable at $130.00 which includes two Rosacea-Ltd IV® disks, instructions tailored to your specific rosacea concerns, processing and Federal Express Shipping and will normally arrive within 2-3 days in most countries. Rosacea-Ltd is made in the U.S.A. and never tested on animals. Rosacea-Ltd IV® has met the challenge to improve the patient’s skin. Our most extreme rosacea patient was age 64 and had spent $30,000 over a 40 year period and had used much time traveling to and from his dermatologist and pharmacy, and had used everything was surprised to solve his severe rosacea skin and ocular problems with one order of Rosacea-Ltd IV®. Our oldest patient was 97 years of age. Chronic rosacea sufferers will usually follow a pattern of common past treatments. Rosacea was at one time thought to be caused by yeast on the skin which resulted in the use of products containing metronidazole as the active ingredient and sold under the names Metrogel, Metrolotion, Metrocream and Noritate. Metronidazole was invented to treat vaginal yeast symptoms. Likewise, antibiotics were once thought to be the miracle rosacea treatment. The antibiotics pit falls are serious and numerous as antibiotics causes more general redness of the face while it does reduce acne pimples for a short time in some rosacea patients, And the severe medical crisis of antibiotic resistance in patients and hospitals worldwide is most serious. Another early concept in rosacea treatments was the use of exfoliation based products and retinoid products. The problem with this is that when you prematurely remove the outer layer of skin, you expose skin. Increased tenderness and sensitivity caused rosacea symptoms to flare. Accutane, marketed for the treatment of severe acne, was a very aggressive attempt by some to treat rosacea that actually made rosacea much worse. The use of topical and oral steroidal treatments has been experimented with in treating rosacea but with their use comes the risk of steroid withdrawal symptoms after treatment. The widespread use of laser therapy runs many of the the same risks and complications as exfoliants and retinoids. Rosacea-Ltd IV® is a natural rosacea treatment that has improved the symptoms of facial and ocular rosacea for thousands of patients internationally over the past 2 decades. Our treatment is a safe and effective for those with sensitive skin and women who are pregnant or nursing. Rosacea-Ltd IV® is formulated with skin care in mind and contains no potentially irritating fragrances. See fast improvement with Rosacea-Ltd IV®. The majority of our patients see a visible improvement in the appearance of their ocular and facial rosacea symptoms within the first two weeks of use. The soothing minerals in our natural treatment are ideally suited to meet the needs of skin that is red, flushed, sensitive or irritated. The smooth surface of the disk glides easily over dampened skin with a quick one to two second application to migrate and penetrate the skin’s surface in a non-irritating manner. Because the disks are invisible on the skin, there is no problem or embarrassment from daytime application. Simply allow the minerals a few seconds to dry and then apply your regular sun screen or makeup foundation. You will find that a mineral powder or water based foundation are best for sensitive skin. Through our extensive research we have found that on average 82% of rosacea patients also display symptoms of acne also and 35% report symptoms of seborrheic dermatitis. These combinations create a more sensitive and delicate skin condition. Most acne products are too aggressive and harsh causing more facial redness, irritation and damage to already sensitive skin. Many products marketed to rejuvenate, renew or reduce wrinkles work by exfoliating the skin, a process that is often too harsh for rosacea skin, causing more redness and skin irritation. Rosacea can be distressing for psychological, social, and financial reasons and can cause physical discomfort. Rosacea patients tend to flush easily; for some, this may be partially due to previous overexposure to the sun and sunburns as well as food and beverage choices. Fair skinned people often have ancestral backgrounds from climates that were cold, damp and wet. Both experienced very harsh climate extremes with fairer completed people probably spending less time outdoors due to the climate and thus perhaps the real ethnicity trigger may not be being fair skinned but a genetic history of a lack of Vitamin D which is best absorbed through sun light. Vitamin D boosts the immune system, balances the body’s pH and is necessary for the absorption of nutrients in the body. Rosacea-Ltd IV® is specially formulated to heal the symptoms of rosacea from the very mild to the more severe symptoms. Some rosacea patients see their skin condition as more severe than it may actually be. For examples of what we consider the more severe cases from our years of experience in treating rosacea, please view pictures of a man and a woman suffering from severe rosacea. Rosacea-Ltd IV® is not another green tinted cover-up mask. Rosacea-Ltd IV® contains more than 99% undiluted natural ingredients. The mineral ingredients are easily and quickly absorbed into the skin for a completely invisible application. The minerals penetrate the skin and migrate – meaning you do not need to directly touch every affected spot. You will be able to see the improvement in skin symptoms normally within two weeks of using Rosacea-Ltd IV®, which has a perfect pH skin balance of 7.0 for optimal skin healing and skin regeneration. The ingredients of the Rosacea-Ltd® disks are a select mineral blend specially chosen for their superior healing and anti-inflammatory properties. These minerals are zinc oxide, copper oxide, iron oxide, sodium chloride, cornstarch, and sulfur. Sulfur is a natural mineral element and should not be confused with the synthetic antibiotic mixtures containing sulfa. There are three base varieties of sulfa containing antibiotics. The first is Doxycycline, which is also produced under the names Oracea, Doryx, Vibramycin and Periostat. The second is Tetracycline, which is also marketed under the names Brodspec, Sumycin, Tetracap, Ala-Tet and Panmycin. The third is Minocycline, which sold under the names Minocin, Solodyn, and Dynacin. Polyethylene glycol is added to the minerals to allow for a soothing, smooth ease of application. The shape of Rosacea-Ltd IV® allows for a very easy application, as shown in the picture to the right. 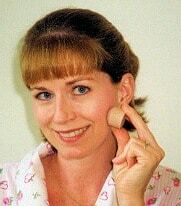 The design of the disk allows easy application to all contours of the face including eye sockets and eyelids. Your order of Rosacea-Ltd IV® will include two disks – one for daytime use and one for the night time application. They come in a tan and yellow color as seen in the picture. Both disks are invisible on the skin; the difference is in relation to the amount of ingredients contained in each disk. International customers who wish to know the exact currency exchange rate converter may visit the universal currency converter provided by XE.com. Symptoms are different in various patients as all people are different. Genetics, age, humidity and sun exposure, exercise, gender, and stress levels can affect symptoms. Furthermore, water consumption, other acne rosacea treatments, and the adverse effects of coffee, tea, alcohol, soda, and the intake of various other drugs can exacerbate rosacea. Commonly, the symptoms include facial redness, flushing and burning, spider veins, papules (solid red lesions without pus, acne pimples (with pus) and seborrheic dermatitis (crusty red flaky inflamed irritation). Also present in some patients are enlarged pores known among the rosacea community as ‘orange peel’ skin. A common symptom of ocular rosacea is red, gritty eyes. Many of your questions will be answered on one of the other pages of this web site. However, if you are unable to find the answer to your questions concerning Rosacea-Ltd® IV, please contact us at info@rosacea-ltd.com with “Rosacea” in the subject line. We answer most requests within one business day. You may also call us toll free at 1-877-942-2838 within the United States and outside of the United States at 1-919-942-7735. 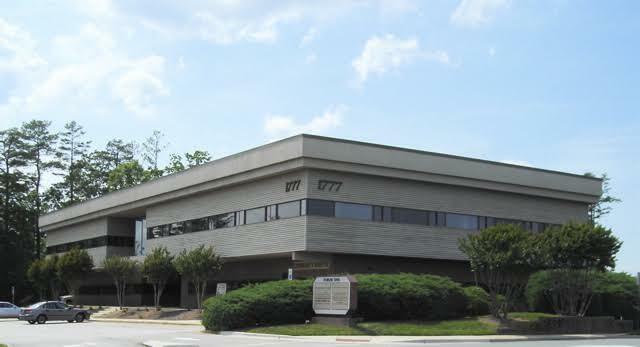 Our office is located at Bass & Boney Pharmaceuticals, Inc. Forum One, Suite 202-5 1777 Fordham Blvd, Chapel Hill, NC 27514 which is within the Research Triangle Park area of Duke University, North Carolina State University, and the University of North Carolina. Research Triangle Park is the largest research center in the world and is known to Research Scientist as “Science Central”.